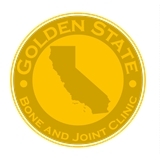 Golden State Bone and Joint Clinic (Beverly Hills) - Book Appointment Online! Dr. Enna opened his private practice in Beverly Hills 2012. He spent the previous three years in a group practice in Santa Barbara. Dr. Enna studied medicine at Tulane University, where he earned membership in the AOA medical honor society. Upon graduation in 2001, Dr. Enna performed his one year general surgery internship and four year orthopaedic residency at Brown University. After completing his residency in 2006, Dr. Enna performed a one year orthopaedic trauma fellowship at Brown. He then moved to Los Angeles, where he completed a one year hand and microsurgery fellowship at UCLA. Dr. Enna is one of a select few physicians who is board certified in orthopaedic surgery, hand surgery and sports medicine.